Corten Steel EN 10025 S355JOW Plates Supplier, ASTM A588 Corten Steel Corrosion Resistance steel Plates Exporter, DIN 1.8959 Corten Steel High Tensile Plates Dealer. Marc Steel is a well-known manufacturer and supplier of Corten Steel EN 10025 S355JOW Plates, which has several great qualities in to provide our clients like easy to install, customized design, fine quality, highly efficient, corrosion resistance, abrasion resistance, long service life, sturdy design, lightweight and more. Buy Corten Steel Plates at affordable price from us. EN 10025 S355JOW Plates This Corten Steel Coils EN 10025 S355JOW are made obtainable in varied lengths and can as well is connected per ease. 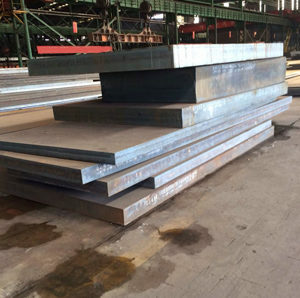 Industries like chemical industries, infrastructure development, ball bearing manufacturers, petrochemicals, boilers manufacturers and agriculture as well find our Corten Steel Plates EN 10025 S355JOW quite appropriate for their functions in their factories. Our Corten Steel Sheets EN 10025 S355JOW are severely advanced as we use high-end machines and latest technology in metal production. CORTEN STEEL S355JOW ASTM A588 STRIP-MILL SHEETS, CORTEN STEEL PLATES, ASTM A588 CORTEN STEEL EN 10025 S355JOW COLD ROLLED PLATES STOCKIST, CORTEN EN 10025 S355JOW CORROSION RESISTANCE STEEL PLATES DEALER, CORTEN S355JOW ASTM A588 STEEL SHEETS, CORTEN EN 10025 S355JOW ASTM A588 STRUCTURAL STEEL PLATES EXPORTER, CORTEN EN 10025 S355JOW ASTM A588 HOT ROLLED STEEL PLATES EXPORTER IN INDIA. The whole collection of EN 10025 S355JOW Corten Steel Coils is recognized for durable finish standards, high performance and precise dimension. Our extensive range of EN 10025 S355JOW Corten Steel Sheets is very much demanded in the worldwide industry for its salient features. These EN 10025 S355JOW Corten Steel Plates are being used in many tasks where appearance, ease of fabrication and strength are very much required. Owing to rich manufacturing expertise and experience in this field, we are engaged in offering Corten Steel EN 10025 S355JOW Coils. We are quite glad to present ourselves as one of the trustworthy and leading firms engaged in providing a huge collection of Corten Steel EN 10025 S355JOW Sheets, that are being used in fitting or fixing number of products. Bangladesh, Poland, Bahrain, Jordan, Nepal, United States, Algeria, Yemen, Spain, Ghana, Philippines, United Kingdom, Chile, Azerbaijan, Lithuania, Saudi Arabia, Trinidad & Tobago,Tunisia, Turkey, Brazil, Iran, Japan, France, Belgium, Thailand, Estonia, Vietnam, China, Chile, Costa Rica, Iran, Malaysia, Germany, Egypt, Qatar, Tibet, United Arab Emirates, South Africa, South Korea, Ireland, Finland, Italy, Taiwan, Sweden, Czech Republic, Iraq, Puerto Rico, Austria, Ukraine, Mexico, Hong Kong, Kuwait, Pakistan, Portugal, Netherlands, Denmark, Sri Lanka, Gabon, Kazakhstan, Poland, Bulgaria, Angola, Bhutan, Romania, Indonesia, Ecuador, Canada, Nigeria, Singapore, Argentina, Israel, Venezuela, Nigeria, Afghanistan, Bolivia, Peru, Russia, Switzerland, Libya, Kenya, Macau, New Zealand, Lebanon, Belarus, Mongolia, Croatia, Gambia, Morocco, Slovakia, Australia, Colombia, Norway, Oman, Hungary, Mexico, India, Zimbabwe, Namibia, Serbia, Greece. Caracas, Coimbatore, London, Jakarta, Istanbul, Montreal, Melbourne, Secunderabad, Seoul, Navi Mumbai, Kanpur, Gimhae-si, Bogota, Indore, Sharjah, Ludhiana, Riyadh, Vung Tau, Dubai, Rajkot, New Delhi, Jamshedpur, Edmonton, Howrah, Al Khobar, Dammam, Ahvaz, Los Angeles, Port-of-Spain, Courbevoie, Thane, Jeddah, Bengaluru, Mumbai, Perth, Chiyoda, New York, Hanoi, Milan, Ulsan, Rio de Janeiro, Colombo, Singapore, Hyderabad, Thiruvananthapuram, Geoje-si, Moscow, Houston, Algiers, Faridabad, Kolkata, Tehran, La Victoria, Al Jubail, Chandigarh, Ranchi, Toronto, Pune, Pimpri-Chinchwad, Manama, Ho Chi Minh City, Kuwait City, Lagos, Ahmedabad, Doha, Granada, Hong Kong, Haryana, Calgary, Nashik, Busan, Dallas, Ankara, Santiago, Sydney, Muscat, Brisbane, Karachi, Aberdeen, Visakhapatnam, Chennai, Ernakulam, Gurgaon, Vadodara, Nagpur, Lahore, Madrid, Kuala Lumpur, Noida, Jaipur, Bhopal, Surat, Atyrau, Mexico City, Baroda, Cairo, Abu Dhabi, Petaling Jaya, Bangkok.